The letters on this page, each one, was the work of an artist, defining the serif or lack thereof, and the length and breadth of each stroke. In many cases, that workmanship is copyright protected and may not be used on a website without specific permission. The “perfect” font face can drive a logo or website design, transforming it from good to great. Unfortunately, it may be fairly common for businesses — especially small businesses — to unintentionally violate the font designer’s copyright. Many of the fonts installed on computers are licensed for viewing and printing on or from a single computer, and may not be used in logos, banner advertising, or on a website. The American Institute of Graphic Arts (AIGA) has four guidelines for using fonts. Although these AIGA guidelines are aimed at graphic designers, they may serve to help marketers at small companies. Fonts, even paid ones, are not terribly expensive. 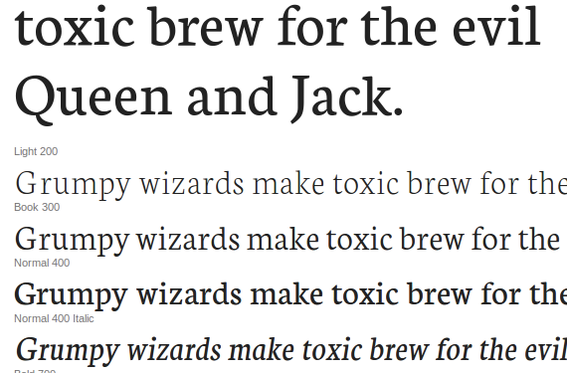 Often a few hundred dollars — at most — can secure a premium font for use on a website. 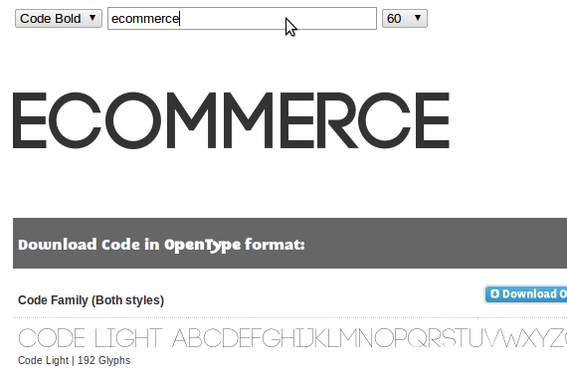 There are even subscription services for web fonts. 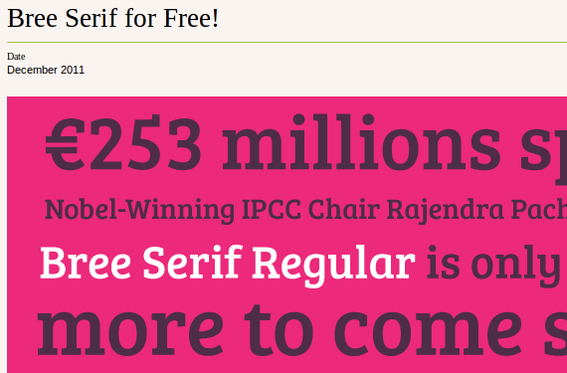 Fortunately, there are also many free, commercial use fonts. 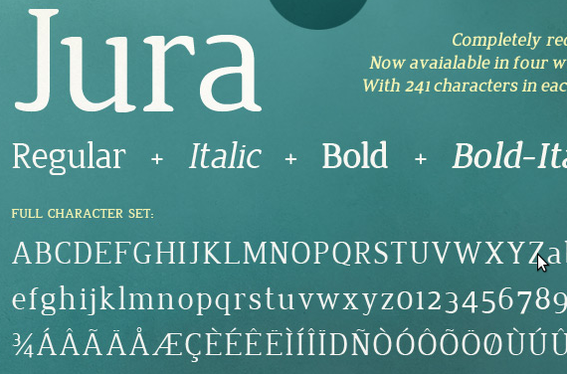 What follows are 20 examples of free fonts for commercial projects, including for websites. It is worth noting that at least of few of the font foundries that publish these fonts accept donations. 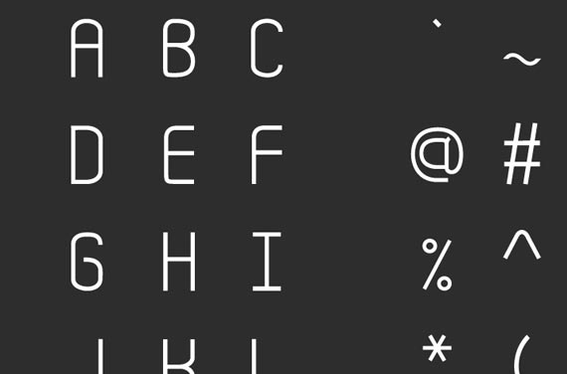 RBNo2 Free Font is from Rene Bieder for Fontfabric. Jura is from Ten by Twenty. 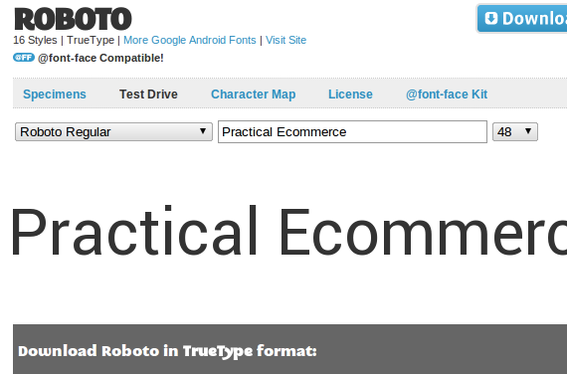 Roboto is from The Android Open Source Project. Stroke is from the Kinetic. 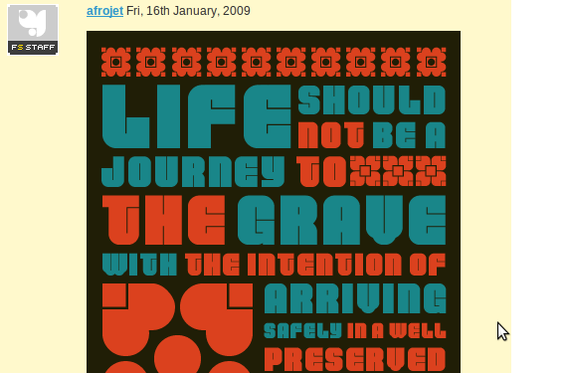 Maven is from designer Joe Prince and available from Lost Type. Bree Serif is from designers Veronika Burian and Jose Scaglione and is available from Type Together. 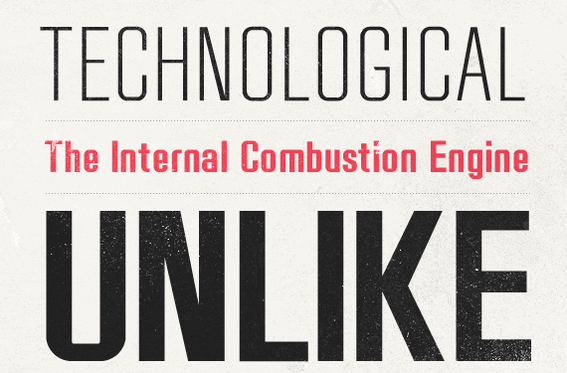 Neuton is from designer Brian Zick and is available from the Google Font Directory. Thunderball is from Afrojet and may be downloaded from Fontstruct. 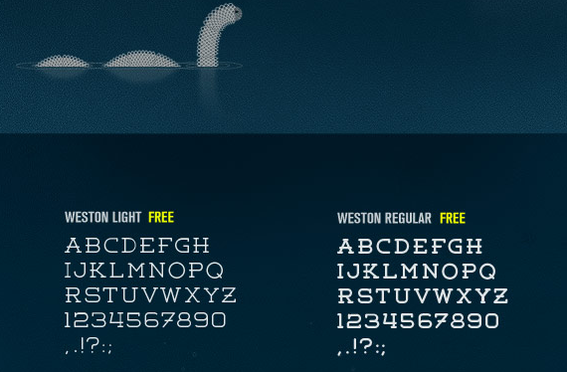 Weston is from Pavel Pavlov and is available from Fontfabric. 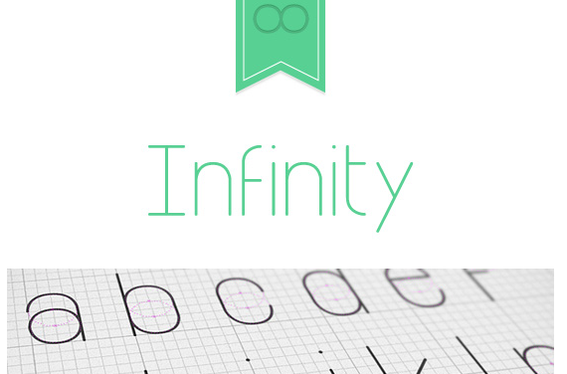 Infinity is from designer Tarin Yuangtrakul. It may be downloaded from Free Typography. Code is available at Font Squirrel from Fontfabric. 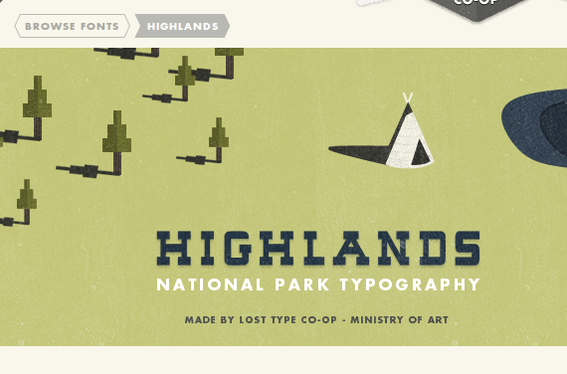 Highlands is available on a name-your-price basis from the Lost Type Co-op. Vince Lo designed Collator, which is available from Practice Foundry. 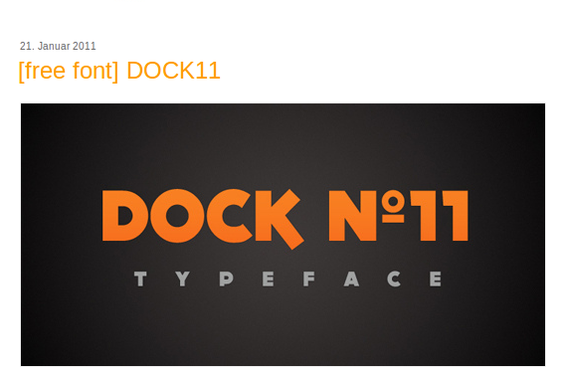 Lukas Bischoff make Dock11 and offers it for free. 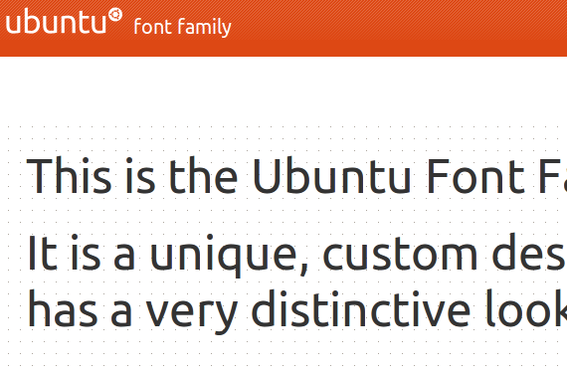 The Ubuntu font family, which is a mainstay of the popular Linux distribution, is now available free. 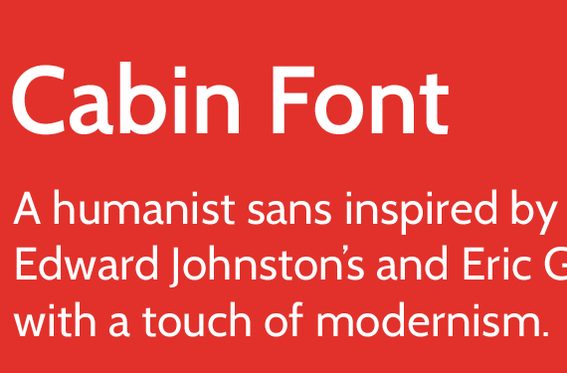 Cabin Font is from Impallari. 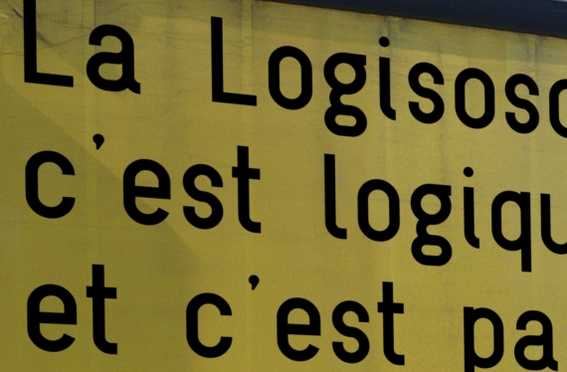 Logisoso is from the OSP Foundry. Quicksand is from Andrew Paglinawan Fonts. 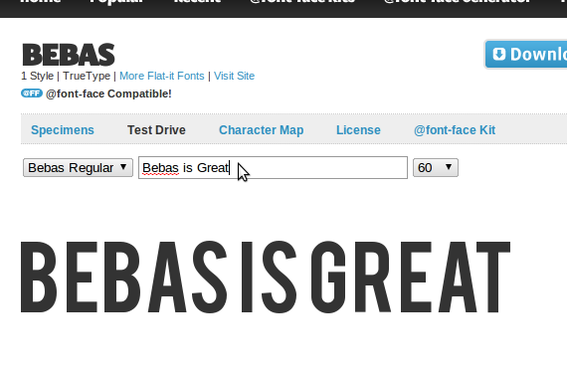 Bebas from Flat-it Fonts is available on Font Squirrel. 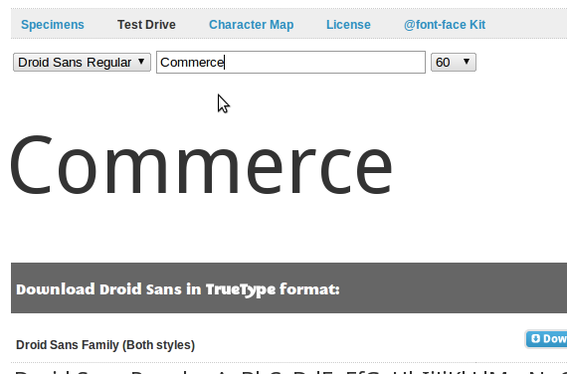 Designed for Android phones, Droid Sans is available from Font Squirrel.